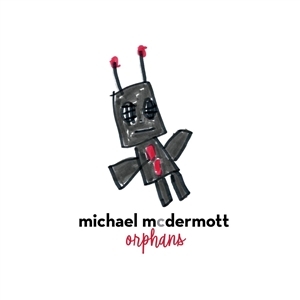 Michael McDermotts new album Orphans explores similar terrain as its critically acclaimed predecessors Willow Springs and Out from Under, but these 12 songs have an extra power that drives the set forward. As the title suggests, this is a collection of compositions that were initially abandoned, but refused to leave McDermotts mind. "Some songs wont go away," McDermott explains. "On all of my records theres this stack of songs that wont make it-and they disappear for good. It wasnt the case this time. This isnt an outtake album. I have an album waiting to go, but these songs were too loud in my heart, they kept waking me at night. These songs are orphans, in much the same way Ive felt in the last three years."